Find here Gweniss coupons, vouchers and deals. Gweniss brings together independent craftspeople from across the UK to create luxury leather bags and straps, handmade for you. Long in the making, our brand is based on providing our customers with leather goods that are timeless in terms of both style and quality but are also adaptable to current trends. Our unique selling point comes from our selection of handmade leather straps to add a personal twist to the classic styles of our leather bags and which are interchangeable depending on the season or mood. 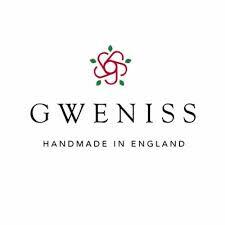 ur products are handmade by a small group of independent manufacturers across England and collectively marketed and traded under the Gweniss brand.